Although the iPhone 5 is, generally speaking, a very solid device which has sold in record numbers, that’s not to say the launch and subsequent release of Apple’s sixth flagship smartphone hasn’t been without its flaws. 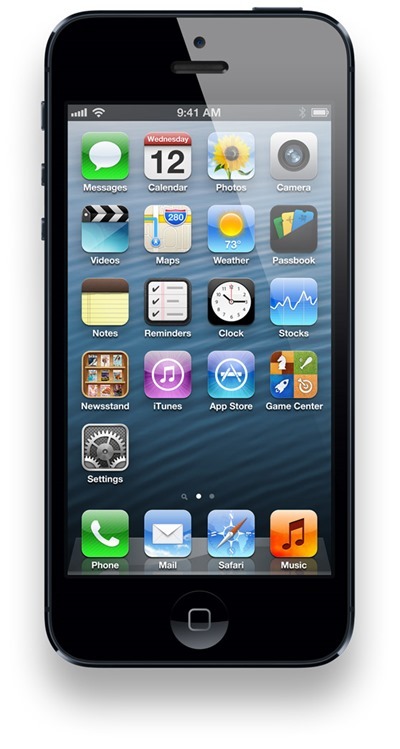 Along with the well-documented issues with iOS 6 and specifically, its shockingly-bad Maps app, a general feeling of angst has been built up by the apparent lack of a dock tailoring to the new device and its Lightning connector. 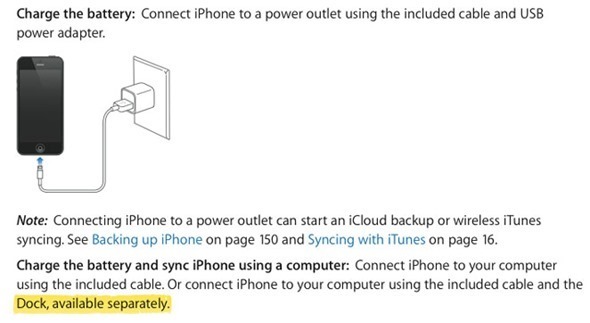 Although not essential to everybody, Apple usually makes the peripheral available at launch, but for those of the opinion Apple may be omitting the dock completely, the iPhone 5 user guide suggests one is on its way. Once upon a time, the Cupertino company would pack a dock in the iPhone box as standard, but, much to the irritation of many iOS users, Apple seems to squeeze an additional few dollars out of consumers wherever it can. The adapter for connecting an old 30-pin device to the new Lightning connector will set you back additional money, which leaves a bit of a sour taste considering at least 90 percent of iPhone 5 purchasers will have at least a charging cable suited to the old connector – if not a complete sound system. Although the EarPods headphones are a marginal improvement on the previous basic headphones, one suspects the majority of consumers would probably have sacrificed them for a free adapter. Still, before I digress too far, the long and short of the story is; it looks like a dock could be arriving at some point in the future after all. The references in the user guide suggest this to be the case, although do not tell us exactly when the dock could make an appearance. Once suspects, with the iPad Mini said to be launching next month, Tim Cook’s company could quietly throw the dock onto its official website, but with marketing SVP Phil Schiller already denying an official dock would be arriving, what Apple has up its sleeve is really anybody’s guess. In the meantime, those accustomed to having a dock next to them while working will have to find alternative solutions. If you’ve got a bit of time, spare lumber, a saw and a bit of hot glue, you could even create your very own makeshift dock. When you part with hundreds of dollars for a new smartphone, though, you shouldn’t have to get your hands dirty, and here’s to hoping Apple swiftly comes through with the dock so many consumers crave.